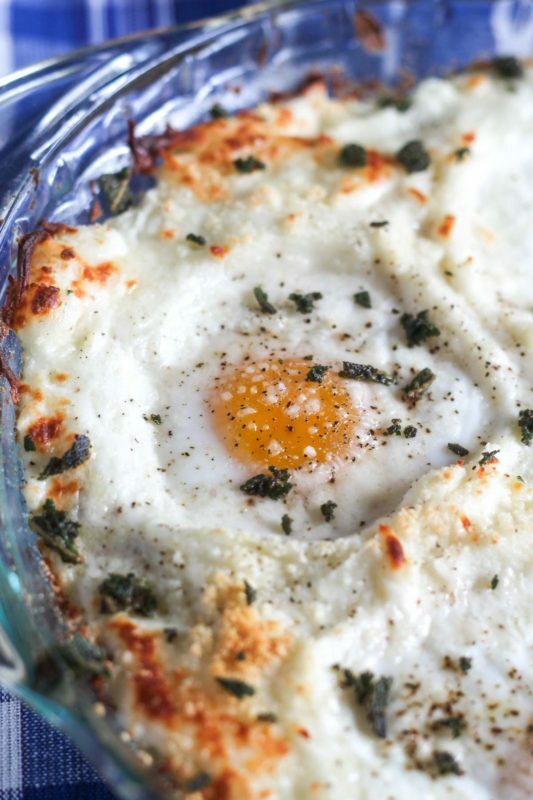 A collection of delicious sweet and savory Christmas Morning Breakfast ideas. 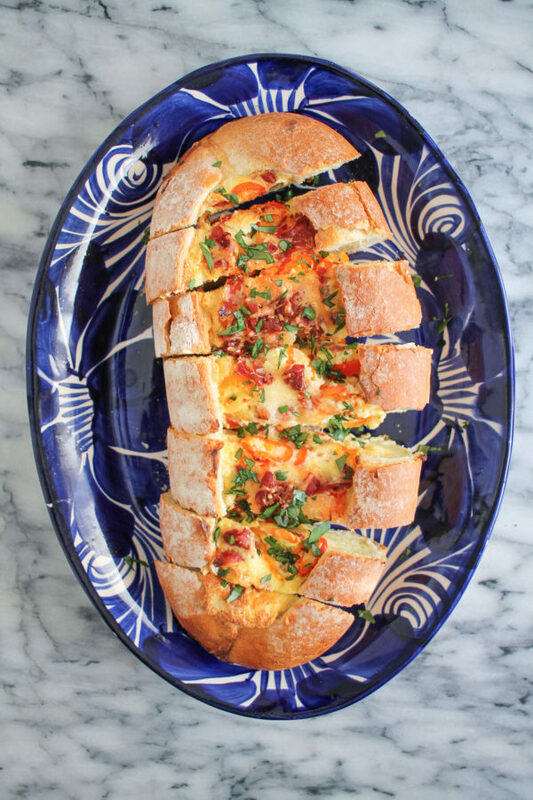 After the presents have been opened, it is time for breakfast. 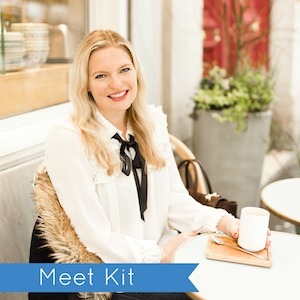 Christmas morning breakfast should be special, and today I am sharing a list of christmas morning breakfast ideas ranging from sweet to savory. 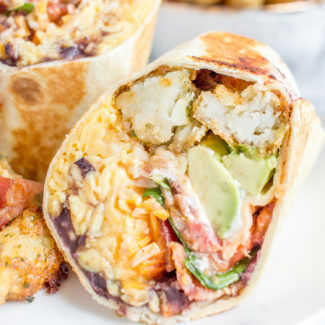 Some of these breakfasts can even be made ahead. 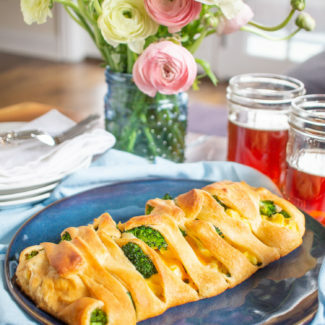 Scrambled Egg Bread Boat – A loaf of bread gets hollowed out, filled with scrambled eggs and your choice of vegetables and cheese, and then baked. 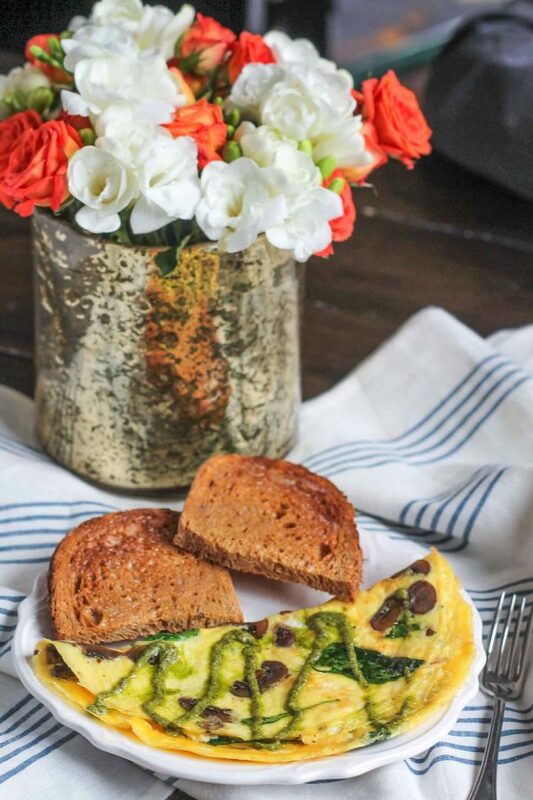 It’s a very easy way to make scrambled eggs for the whole family. I like to crumble some bacon on the top. 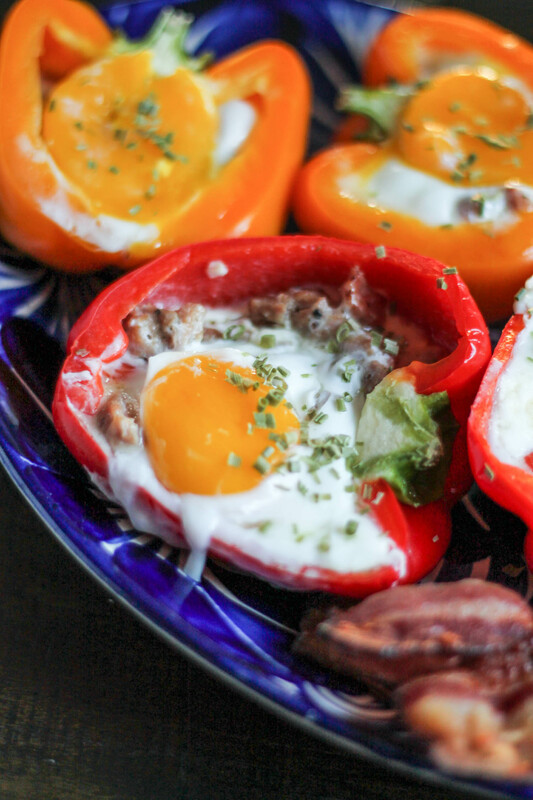 Bell Peppers Stuffed is Sausage, Egg, and Cheese – An incredibly easy and scaleable recipe that involves filling bell peppers with cooked sausage and cheese and then cracking an egg right inside. 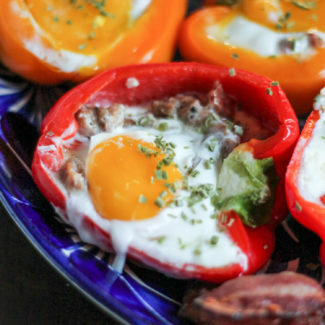 The peppers are baked until the egg whites are cooked the yolks are runny. 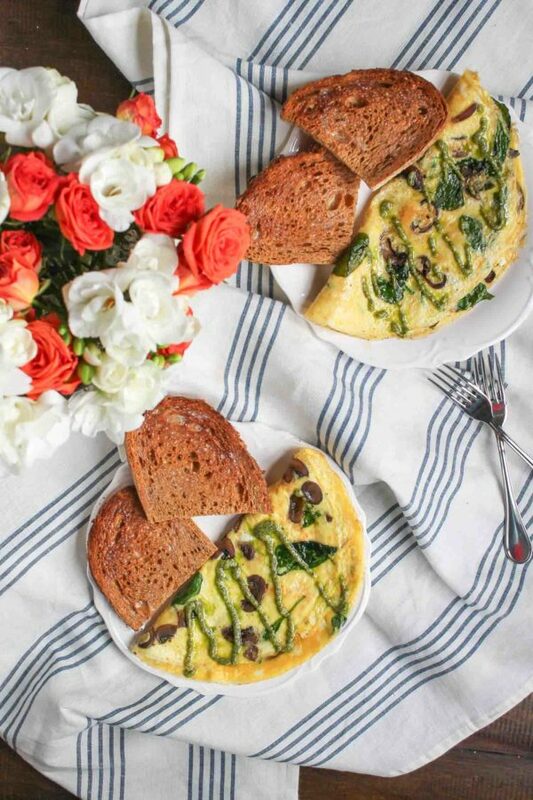 Mushroom and Goat Cheese Omelets – This recipe is inspired by the omelet that I order at Le Pain Quotidian every weekend. 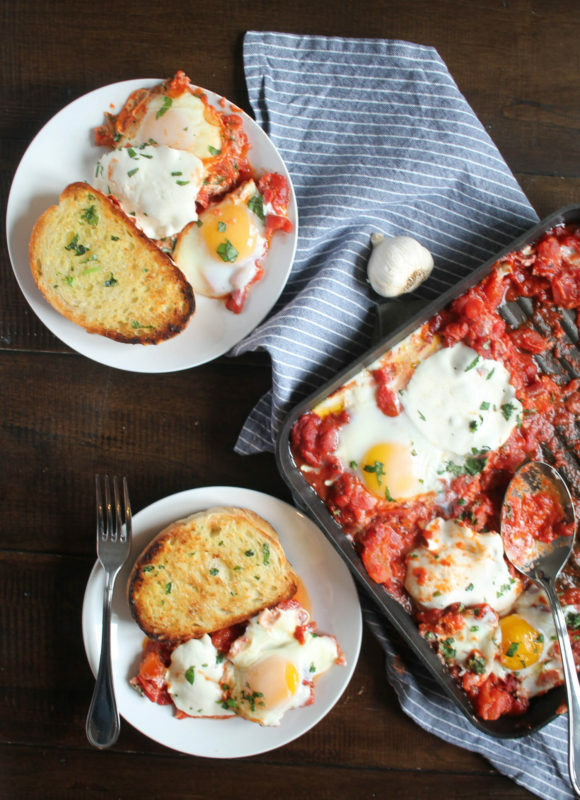 Eggs in Purgatory – This recipe is a delicious way to make eggs for the whole family. 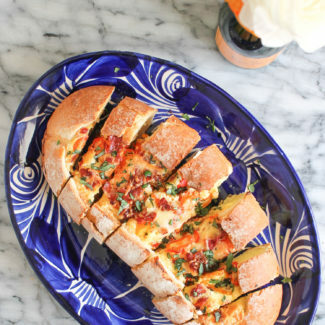 It tasted best with garlic bread served on the side. 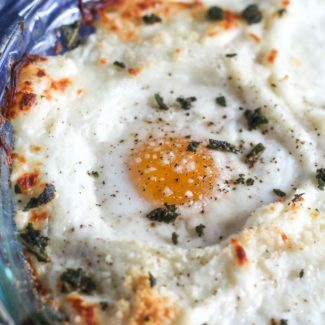 Eggs in Mashed Potatoes – A delicious way to use up any mashed potatoes that you may have left over after Christmas dinner. 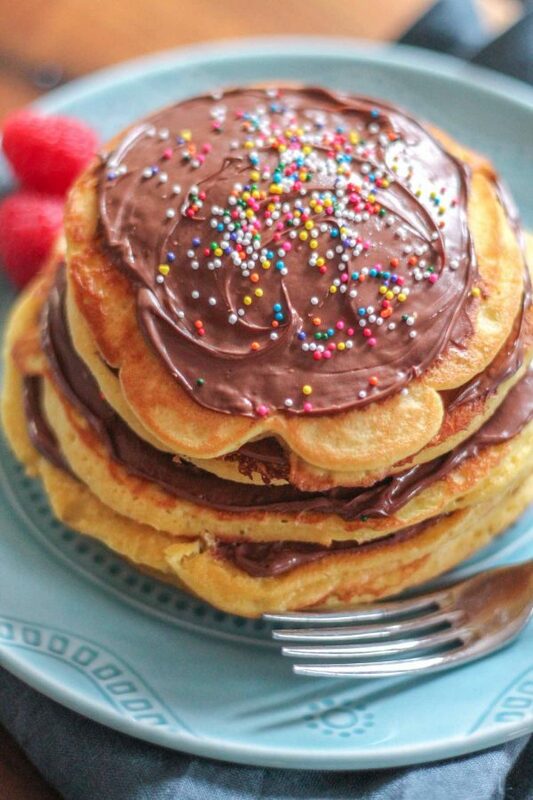 Cupcake Pancakes – The best pancakes are made with cupcake mix… and topped with chocolate frosting. 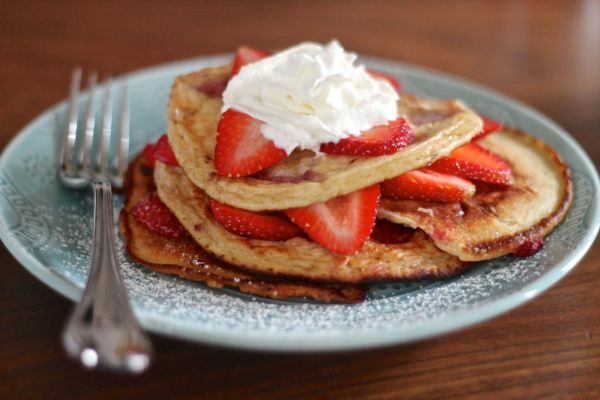 Lemon and Ricotta Pancakes – These pancakes are easy to make and loaded with fresh flavors from the lemon and strawberries. 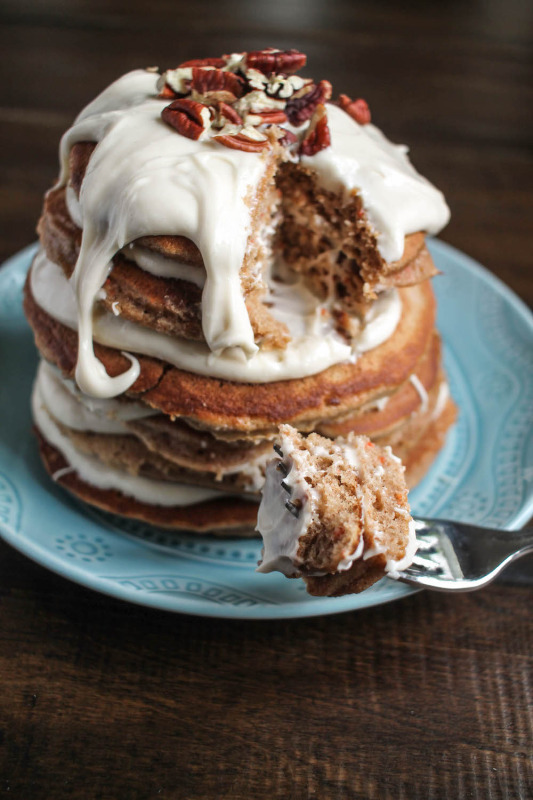 Carrot Cake Pancakes – Cupcakes made with carrot cake mix and topped with cream cheese frosting. 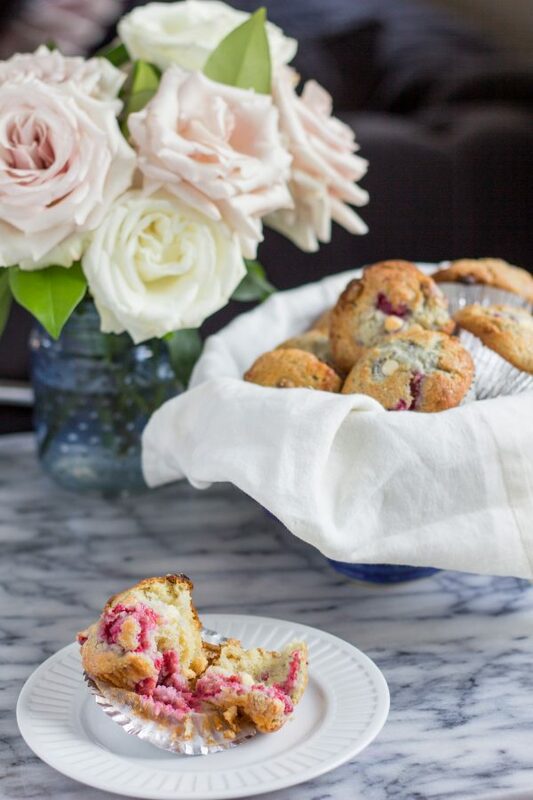 Raspberry White Chocolate Muffins – My favorite muffins, I love how the tart flavor of the raspberries compliment the white chocolate. 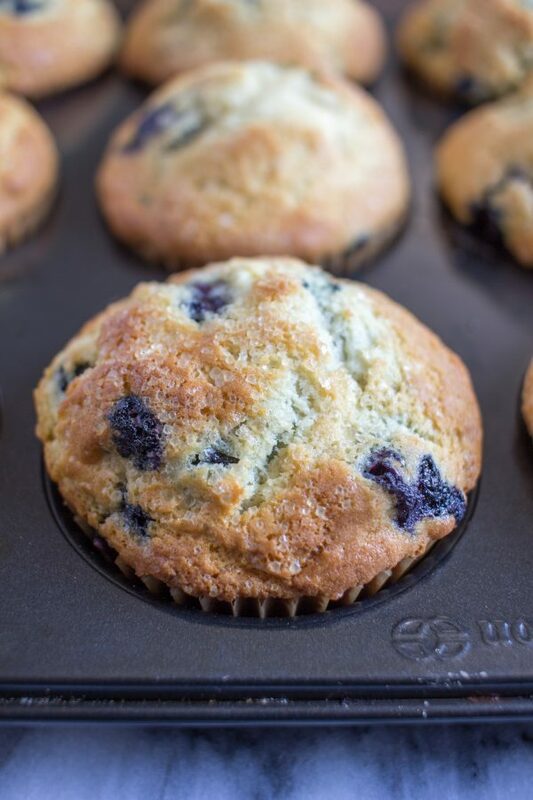 Blueberry Muffins – Classic blueberry muffins with a perfectly domed top. 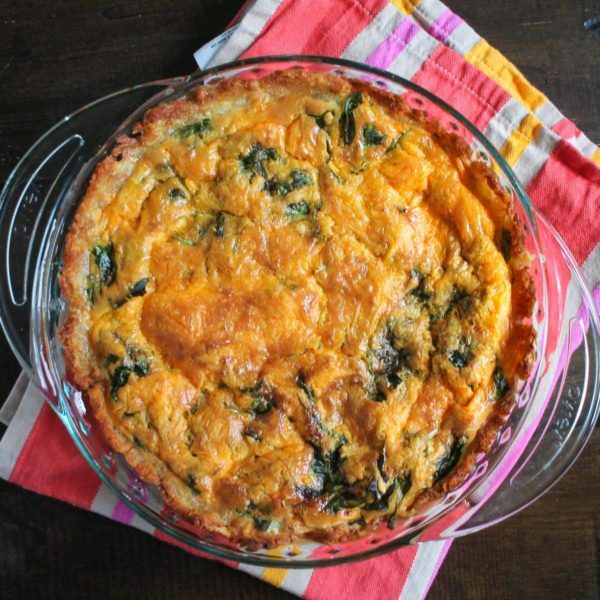 Cheddar and Spinach Quiche with a Tater Tot Crust – Quiche tastes best when the crust is made out of tater tots. 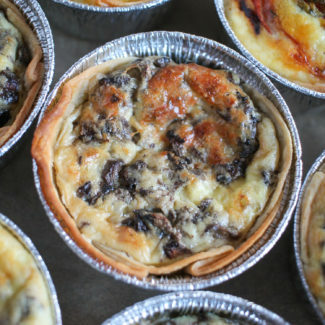 Quiche can be made ahead and then reheated in the oven. 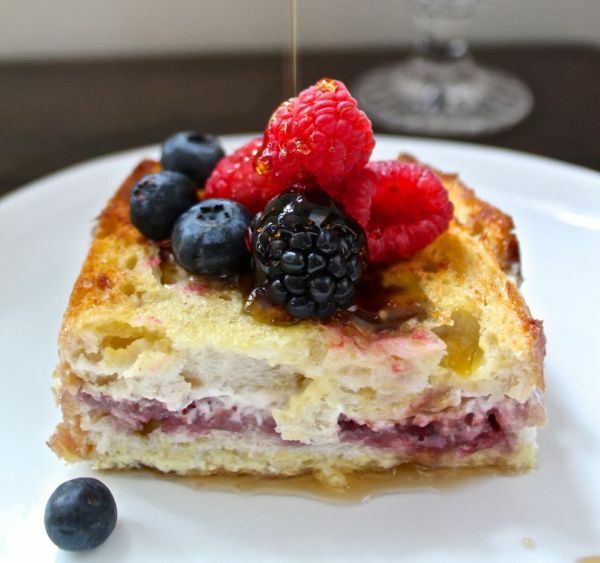 Berry Stuffed French Toast – French toast stuffed with cream cheese and berry jam is delicious and easy to make in large batches.